A 14-year-old girl from the San Jose area was found dead below a popular overlook near the Grand Canyon, believed to be the victim of a roughly 70-story fall, according to authorities in Arizona. On Monday, Coconino County sheriff’s deputies responded to Horseshoe Bend Overlook on a report of a missing 14-year-old girl. Her family, who was visiting from the greater San Jose area, had last seen her around 2 p.m. at the overlook and reported her missing around 4 p.m., the sheriff's office said. Search-and-rescue crews searched the area via helicopters and located the missing girl's body about 700 feet below the overlook, sheriff's officials said. Due to darkness, rescuers had to wait until the next morning to recover the body. The girl's body was transported to the Coconino County Medical Examiner's Office in Flagstaff. The girl's name was not released. The initial investigation indicates an accidental fall, but the death is still under investigation, sheriff's officials said. 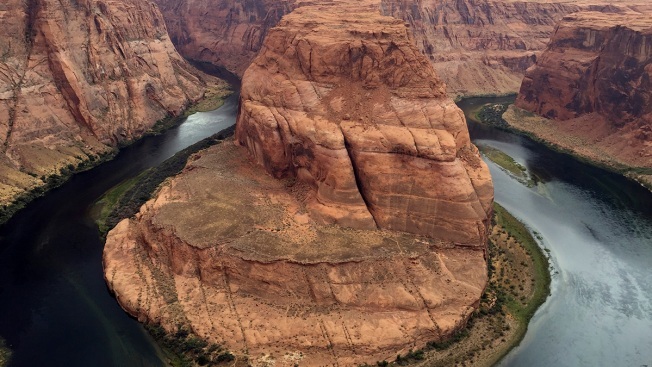 Horseshoe Bend is a distinctive U-shaped landmass north of the Grand Canyon on the Colorado River. Tourism has increased in recent years and the site, in Glen Canyon National Recreation Area, draws thousands of visitors every day, according to a recent National Park Service news release. Last year, the park service said it was installing rim safety railing, though visitors would still be able to walk along the canyon rim beyond the railing to look down at the canyon. CORRECTION (Dec. 27, 2018, 6:10 a.m. PT): An earlier version of this story misidentified the location of Horseshoe Bend.